Body Fortress Super Advanced Whey Protein is a protein mix that claims to offer athletes the proteins they need to support muscle growth. It offers 60 grams of protein per two servings, over 8 grams of BCAAs, Crystalline Taurine and comes in a variety off tasty flavors. 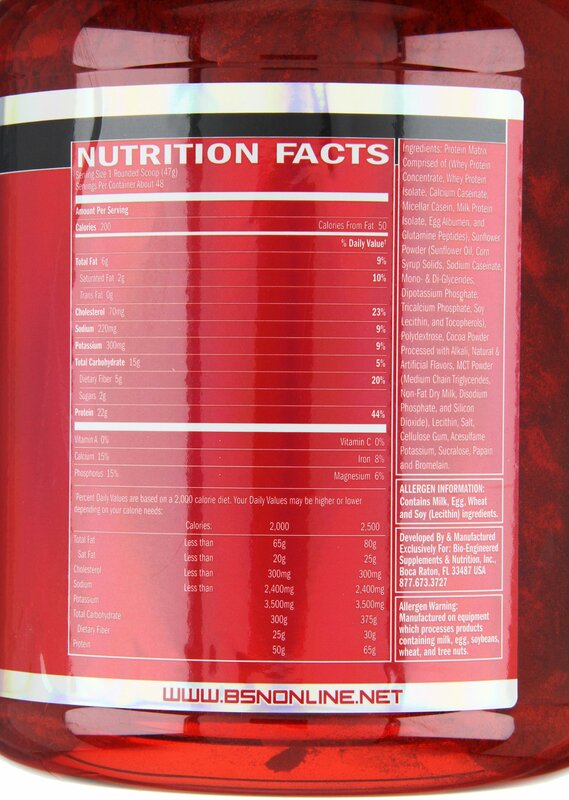 Each scoop provides athletes with whey proteins and important amino acids. At the time of this writing, Amazon was selling a 1.95-pound bottle of Body Fortress Super Advanced Whey Protein for just $17.98, which makes it responsibly priced. Flavors that are available include Cookies ‘n’ Cream, Strawberry, Vanilla, Chocolate and Chocolate Peanut Butter. Body Fortress Super Advanced Whey Protein offers 8 grams of BCAA proteins, split up as 2.26 grams of Isoleucine, 3.95 grams of Leucine and 2.15 grams of Valine. This is part of what Body Fortress calls its “Super Recovery Blend.” The amino acids, along with Monhydrate, L-Glutamine, Glycine and Taurine, speed up the recovery time of muscles after a workout. The quantity of these ingredients may not be really large amounts, but what is there is extremely high quality. The product is made from a 100 percent whey protein blend. If there is one area where the Body Fortress Super Advanced Whey Protein really shines it is taste because the flavors rank above similar protein mixes. With flavors like Strawberry, Chocolate Peanut Butter and Cookies ‘n’ Cream, everyone is sure to find a flavor that they like. The product also mixes extremely well and does not clump together. It should be noted, however, that the Crystalline Turine sometimes appears in crystal form within the powder. This is completely normal and goes unnoticed when users drink it. Despite the good flavors for this product, it is not going to cause your blood sugar levels to spike out of control due to high amounts of sugar. In fact, the product only has around 2 grams of sugar per serving depending on the flavor. Users on Amazon who have been using this product nearly four to five times a week still enjoy steady blood sugar levels. In one such case, a woman says that her husband lost 28 pounds in just three months. A lot of this has to do with the great taste of the product and the fact that it is easy to stick with. The product could not be easier to make. Adults only need to add one scoop of this product to a 6- to 8-ounce glass of water. If the taste is too strong, users can add more water to lessen the taste. On the other hand, they can use less water to increase the flavor. Bodybuilders who are over 125 pounds can use between one and two scoops after they exercise. After adding the product to a glass of water, all you need to do is stir for about 20 to 30 seconds. Athletes who are looking for mass weight gain can try to add this protein mix to higher calorie foods than water, such as milk and fruit juices. People who are looking to lose a bit of weight should just use water or skim milk. It is very important for people not to be fooled by the front label of this product. It claims to offer 60 grams of protein, but this is based on two servings or two scoops. Most people are only going to need one scoop, which means that they are only getting 30 grams of protein. As a result, based on the nutritional information, you get 30 grams of protein per 41-gram serving. This puts the protein concentration at only 71 percent, which is on the low side. Another problem that some people are going to have is with the carbohydrates. This mix offers 6 to 8 grams of carbohydrates per serving. This puts the carbohydrate concentration at 14 to 19 percent. The carbohydrate concentration changes depending on the flavor. It is not just giving your body things that are good for a speedy recovery. This could be one of the reasons why it tastes so good, but not everyone will want to sacrifice nutrition for the sake of flavor. Overall, Body Fortress Super Advance Whey Protein is a fantastic product that offers a lot of BCAA proteins. It comes in a large variety of flavors and mixes together easily. Although its carbohydrate concentration is a little high and its whey protein concentration is not as high as what most body builders would want to see, it still offers plenty of value for your money. Also, the product offers ultra filtered whey proteins. 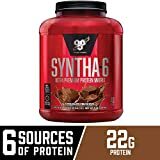 This improves the overall quality of the mix and ranks it above other similarly priced whey protein mixes, such as Six Star Pro Nutrition Elite Series Whey Protein. In short, it is hard to find a better-tasting, better-performing whey protein mix for the same price. If you are a body builder looking for a quick way to help your muscles recover after a workout, look no further than Body Fortress Super Advance Whey Protein.